Year 2013 has seen a great deal of Google updates much to the relief or the chagrin of various search engine marketing jockeys and webmasters. While all of them were created with good intent, some were not quite happy with the effects of these updates. But nonetheless, despite these changes in algorithm, webmasters can still rest easy as SEO is not yet dead. It is just evolving away from the keyword-centric strategy of getting traffic. Panda #25 – On March, another Panda update was being pushed and it could be the last of the Panda updates. Panda #25 has received mixed reviews, with some claiming it had changed the ranks for the better and others saying it was the complete opposite. Domain crowding update – on May of 2013, another update was released which was said to deal with the problem regarding domain crowding. Not too many were happy with the update, apparently. Penguin # 4 – The 4th refresh of the Penguin algorithm was released in May of 2013 and it has the spam fighting feature present in Penguin 2 and a whole lot of other updates thrown in. It has impacted 2.3% of English queries. Panda dance – on June 2013, still, another Panda update was released. 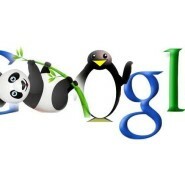 Much like the Google Dance update, the Panda Dance is being released silently in the background. There weren’t any notification regarding the update. A more improved and “softer” Panda update – Apparently, Panda # 25 and the Panda Dance were not the last updates for the Panda algorithm. This newer update is said to be more finely targeted. Many web masters claim that the traffic to their sites were 5% higher after the update. Hummingbird – September 2013 saw the release of the Hummingbird algorithm, much to the horror of webmasters who have been used to the keyword-centric approach to gaining traffic due to its focus on the “conversational search”. Penguin 5 – On October 2013, Penguin 5 (which is a better version of Penguin 2) is released with the same spam fighting feature and a whole lot more. It has impacted 1% of English search queries.